Aimed at prosperous growth in this domain, we are instrumental in offering an excellent quality range of Heavy Handle D Nut. Bestowed by a progressive production setup, we have attained specialization in presenting D Nuts to our patrons. We are specialized in supplying D-Nuts. We offer our client an excellent quality range of D Nuts which are manufactured from high grade quality raw materials. 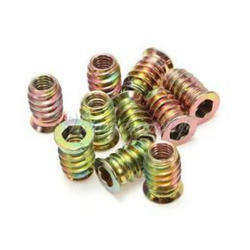 These D Nuts can be customized as per our precious customers specifications. These Wood insert nuts are available with us in sizes M4, M5, M6, M8 and M10. 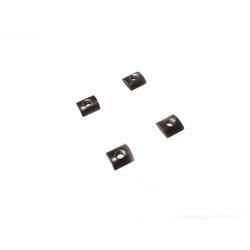 We offer Iron Alloy D Nuts that are easily nailed without much effort. They are made from good quality Iron/Zinc alloy.